Abe is back, but is his return a happy reunion or a devious tug on your nostalgia gland? Aaron dons his loin cloth and ventures into Rupture Farms. Let’s go back in time, way back to the days of 1997. That year, 39 members of the Heaven's Gate Cult committed suicide, Princess Diana died, Versace was murdered, Tony Blair was elected, and James Cameron unleashed Titanic on an unsuspecting world. It was a dark time in human history, but there was a bright spot. No, not Dolly the cloned sheep – Abe, the flatulent protagonist of a wee game called Oddworld: Abe's Oddysee. Abe was the unlikeliest of heroes. Prancing about in a loin cloth, he couldn't fire a gun or fight, and he expired the moment an enemy so much as breathed on him. He also had a weird thing for birds, the vocab of a particularly slow infant, and a flatulence problem. Fortunately, he could run, jump, issue basic commands, possess some creatures, and fart on command. In a pre-YouTube era, that meant something. Abe’s Oddysee was a tough game full of well-obscured puzzles, lively enemies, diverse environments, and oddball charm, and it even imparted a decent lesson to players. (POSSESS EVERYTHING AND MURDER EVERYONE.) In short, it has withstood the test of time. Now, in the age of the HD remaster, Abe’s Oddysee has been remade as Oddworld: New ‘n’ Tasty by a company that has given other Oddworld titles the hi-def treatment. However, the key word here is ‘remade’. This isn’t an HD upscale, nor is it a texture tweak. It is a ground-up remake of Abe’s Oddysee, and it is glorious. Where texture and resolution upgrades can make HD ports look dated, Oddworld: New 'n Tasty looks absolutely gorgeous – lively and current. Other aspects of the original have been expanded as well: there are more enslaved Mudokons to save (299 up from 99! ), the screen now scrolls with Abe, and the camera zooms in and out to show you a bit more detail or give you a better view of the action. The vocabulary of the game's creatively-designed inhabitants has been massively increased too, to hilarious effect. One of the defining features of Abe’s Oddysee was its brutally steep learning curve – surely the cause of many a controller replacement in 1997. 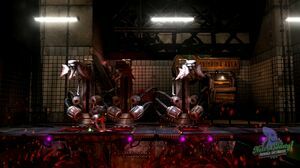 For New 'n' Tasty, developer Just Add Water has softened things for new players with the inclusion of three difficulty levels, and only the hardest retains the original’s insta-death. That means on easy and normal, getting spotted no longer means instant death whilst trying to navigate Oddworld’s many, many pitfalls and traps. Just Add Water has also given players a leg-up with a brilliant quick save feature: a quick press on the PlayStation 4's touchpad saves, a longer hold reloads. Purists will cry foul here, but it is by no means a ‘get out of jail free’ card. You will still die, and you will still die a lot. Another change – far more subtle in its application – is the move to analogue joysticks. Using these makes throwing grenades and rocks much easier. However, the decision to tie both walking and running to the analogue stick is an inferior system to the R1-to-sprint setup of the original, mainly due to the lag inherent in the stick's input. Aside from this minor yet frustrating change, the gameplay itself still shines after all this time. A moment of inattentiveness will still see either you or the Mudokons you are desperately trying to free meet a gruesome fate. 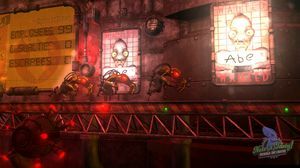 Just Add Water has demonstrated with this excellent update of a classic that it understands Oddworld better than anybody – save perhaps its creator Lorne Lanning. 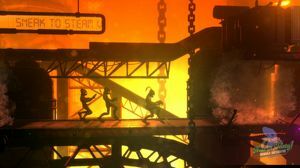 Abe’s Oddysee is a brilliant game that was well and truly ahead of its time, and Oddworld: New ‘n’ Tasty has retained all of its charm while updating the game where needed. 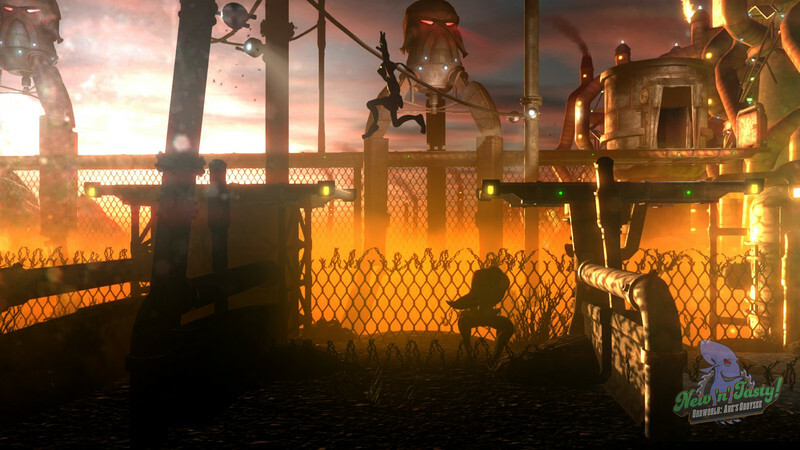 To all other developers looking at re-imagining a well loved IP: Oddworld: New ‘n’ Tasty is your new benchmark. 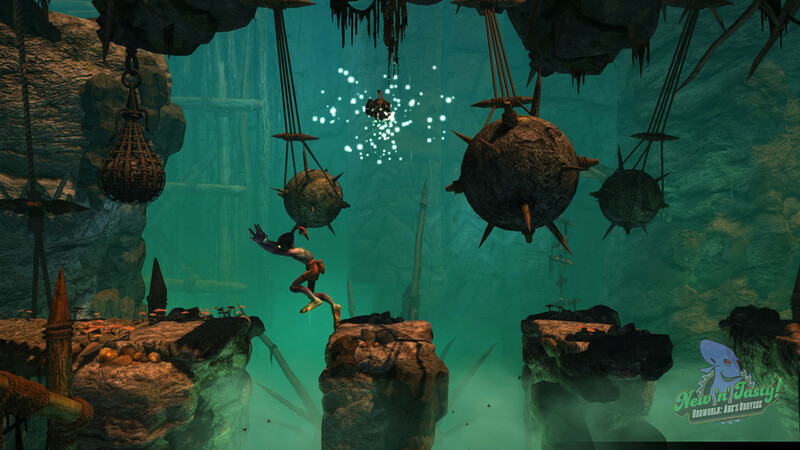 Oddworld: New 'n' Tasty is an excellent example of how to remake a game. A must for returning fans and newcomers alike. Ups A chance for a new generation to get acquainted with a charming character. More difficulty options. Cross-buy on all PlayStation platforms. The flying meat chunks are now even more gruesome. Downs The shift to analog movement hasn’t gone as well as could be hoped. Even if you got it on PS+.